The woman dubbed the “Kayak Killer” for sabotaging her fiancee’s kayak and causing his drowning death in the frigid waters of the Hudson River is getting out of jail soon, NYup reports. Angelika Graswald, 37, pleaded guilty to criminally negligent homicide in Vincent Viafore’s death in April, 2015, and was sentenced to a minimum of one year and four months, and a maximum of four years in prison. But now the Latvian national is set to be released from the Bedford Hills Correctional facility on Thursday, NEWS12 reports, citing the StateDepartment of Corrections and Community Supervision. The woman is being set free based on time served, as Graswald had reportedly been behind bars in Orange County Jail for over two years before her transfer to the Bedford Hills facility. The soon-to-be ex-con will now face 16 months of parole in Dutchess County and could end up getting deported as a convicted felon. The investigation showed that Graswald had removed the plug on Viafore’s kayak knowing that he wasn’t wearing a life vest and that the waters in the Hudson River in November were cold and dangerous. She also allegedly moved the man’s paddle away from him as he was drowning in the 46-degree Hudson River on April 19, 2015, Hudson Valley Post reported. 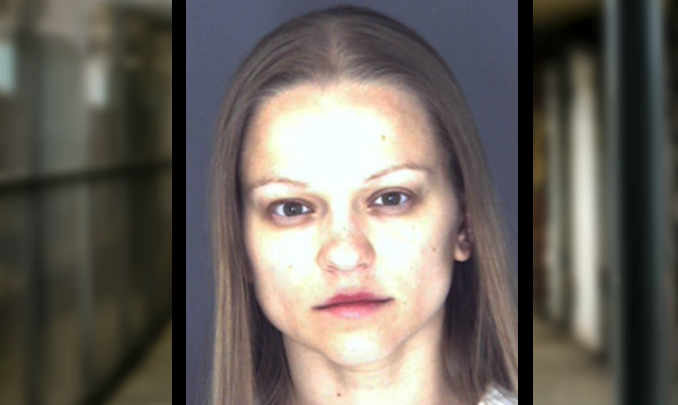 Graswald was arrested on April 30, 2015, and was initially charged with second-degree murder and manslaughter, charges punishable by 25 years to life, after investigators found the plug in her car. Viafore’s body was found approximately a month after Graswald’s arrest. Graswald took a plea deal on Monday, Jul. 24, 2017. Orange County District Attorney David Hoovler told NEWS12 reporters that the deal was made with the consent of the victim’s family and ultimately holds Graswald accountable for the crime. Viafore’s sister, Laura Rice, read an emotional victim impact statement to the court prior to the November sentencing. “Our family feels Angelika should be held accountable for the actions she has admitted to where a short four-year sentence does not seem just. Furthermore, serving a portion of that sentence seems even more unjust,” she said, according to New York Post. According to reports, her motive for killing the man she was set to marry was a life insurance policy worth $250,000.